Thom Burgess is a man with a lot on his plate. He’s working on a number of different projects, and Malevolents: Click Click is just one of the man’s many creations. But it’s a mighty fine creation, and if Burgess is spreading himself thin, there’s no indicator within this book. The story itself isn’t wildly original, but it’s well told. We follow a small group of kids who decide it might be a wise decision to spend the evening in an old haunted house. There’s a profoundly dark legend looming over the structure, but that doesn’t deter these tough little boogers. Until the Ouija board comes out, and then the true possibilities seem to spring to mind, and the fun and games take to pure dread. I love the look of the book, the illustrations white against the black background creates an engaging contrast. Reading the book genuinely feels as though you’re sitting down, around a campfire, reading a ghost story designed to leave your pals two levels beyond perturbed. That may not sound all too special, but few books accomplish such an effect. Joe Becci’s illustrations are money. His ability to create menace through minimal detail deserves applause of the loudest nature, and his understanding of shadowing is almost unsettling. Together, with Burgess, these two feel unstoppable. It would come as no surprise to see both of these studs working on much larger projects in the future. And if Burgess is able to continue building on the other developments he’s got lined up, he’ll no doubt reach that summit. 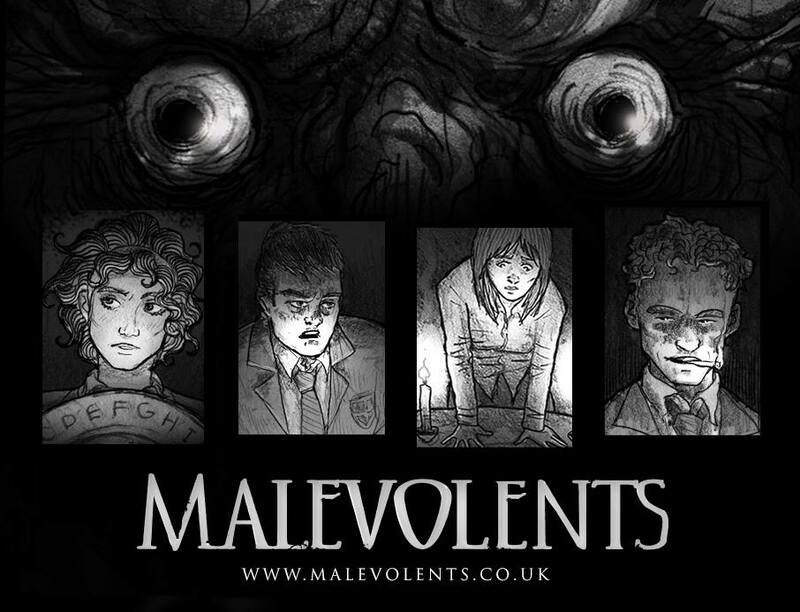 If you favor old school ghost stories with relatable and believable characters, Malevolents: Click Click is a book you should be seeking out. I’ve read it thrice over now, and thrice over it has chilled to the bone marrow.